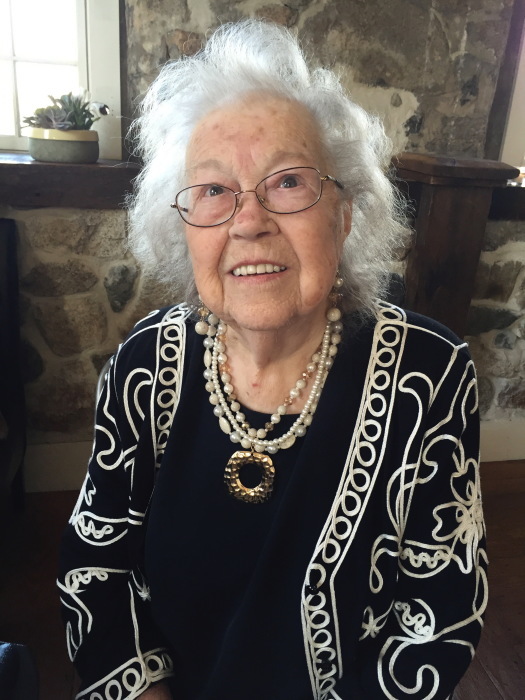 Obituary for Janette R. (LaChapelle) Forcier | Edwards Memorial Funeral Home, Inc.
Mrs. Janette R. (LaChapelle) Forcier, 91, of Milford MA, died Thursday (January 17, 2019) at the Fairlawn Rehabilitation Hospital in Worcester MA after a period of declining health. She was the beloved wife of the late Albert J. Forcier, who died in 2013. Mrs. Forcier was born in Milford MA, the daughter of the late Levi L. and the late Imelda M. (Page) LaChapelle. She attended Milford public schools, graduating from Milford High School, Class of 1944. Mrs. Forcier was first employed as a young woman as a hairdresser. She then was employed at the former Temple Florists, located in Milford, as a designer & floral arranger. Following that she had been employed at the Winslow Leather Company located in Bellingham MA. And finally, she was employed for several years as a teacher’s aide for the Milford public school department. Mrs. Forcier had been a member of the Bellingham VFW Post Ladies Auxiliary and enjoyed her summers at Old Orchard Beach in Maine. She also loved to go camping with her family members and loved to do crafts, especially silk floral arrangements. Mrs. Forcier is survived by 1 Son: Joseph L. Forcier of Hopkinton MA; 3 Daughters: Laurel Forcier, wife of Lester Rosenthal of Goffstown NH, Paulette, wife of Edward Grace of Mendon MA and Janine, wife of Richard Osburn of Mendon MA; 8 Grandchildren: Kevin Forcier of Woonsocket RI, Michelle Forcier of St. Petersburgh FL, Noel Rosenthal and her spouse Heather Waddell of Peabody MA, Cole Osburn and his wife Alexa of Easton MA, Jared Osburn of Mendon MA, Tyler Grace of Mendon MA, Angelica Rosenthal of Goffstown NH and Kristie Grace of Mendon MA; 1 Great Granddaughter: Brooke Lynn Forcier of Woonsocket RI; also several nieces & nephews. Mrs. Forcier was the sister of the late Irene Michaud and the late Lawrence LaChapelle. Her funeral will be held Wednesday (January 23rd) at 9am from the Edwards Memorial Funeral Home, 44 Congress Street, Milford MA followed by a Mass of Christian Burial at 10am in St. Mary of the Assumption Church, 19 Winter Street, Milford MA. Burial will follow in Resurrection Cemetery in Cumberland RI. Visiting hours will be held Tuesday (January 22nd) from 5pm to 7pm at the Edwards Memorial Funeral Home. Memorial donations may be made to the Oliva Family Cancer Comfort Fund, c/o the Milford Regional Healthcare Foundation, 14 Prospect Street, Milford MA 01757.